IPN is aware that the sole collection of data without additional explorative analysis does not generate any benefit. Yet, we often meet companies that accumulate huge amounts of data but lacking the means to process or even quality assure it. In most cases it is a lack of resources and tools what keeps them from performing any benefit gaining tasks with the data. The data is lying idle without anyone being able to utilise it and lift the treasures buried in them. To prevent our customers from this dilemma we have tested several different process models for the tasks of data collection, pre-processing and modelling. The “Cross Industry Standard Process for Data Mining” (CRISP DM) proofed to be the most effective process model available. 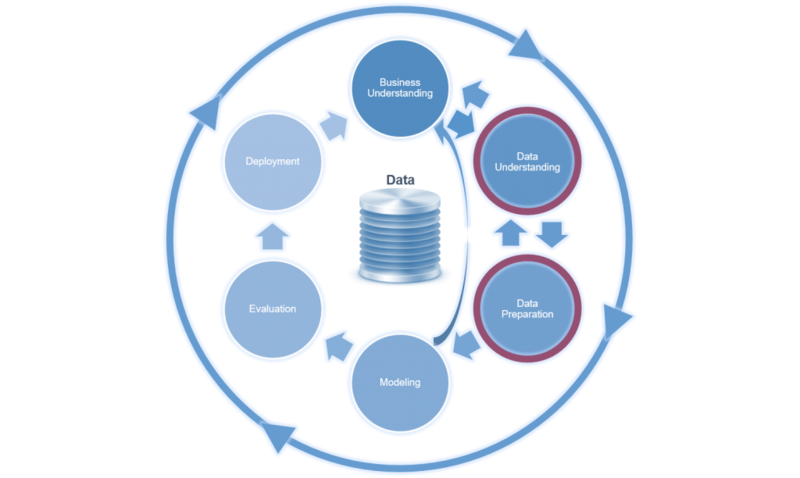 In the CRISP model, ‘Data Understanding’ represents the second phase directly after ‘Business Understanding’. The phase ‘Data Understanding’ starts with the initial data collection leading to activities that enable our customers to familiarise with the data, to identify data quality issues, to gain first insights from the data and to identify interesting data subsets to develop first hypothesis about the information contained in the data. Accordingly, we attached importance to an efficient representation of the CRISP DM process in our platform modules and workflows. To support our customers as well as our own projects we have developed IPN Visualytics which is our main tool for any type of explorative data analytics. IPN Visualytics offers intuitive and easy to use data visualisation, intelligent preselection of relevant influencing variables as well as an automated reporting framework. A complemental feature allows the definition and application of rulesets to the data collected. These rulesets can be used to test the insights gained from the explorative data analysis directly on the data. As Visualytics is designed to be the tool of choice for both a quick visualisation of historic datasets and for an in-depth analysis of continuously collected data it is able to work with different data types. The data types CSV, Rds and Rdata are used to visualise data samples even with a yet unknown structure. For more sophisticated in-depth data analysis IPN Visualytics is linked to a database holding the collected and pre-processed data provided by the modules IPN inPOLL and IPN inPREP. 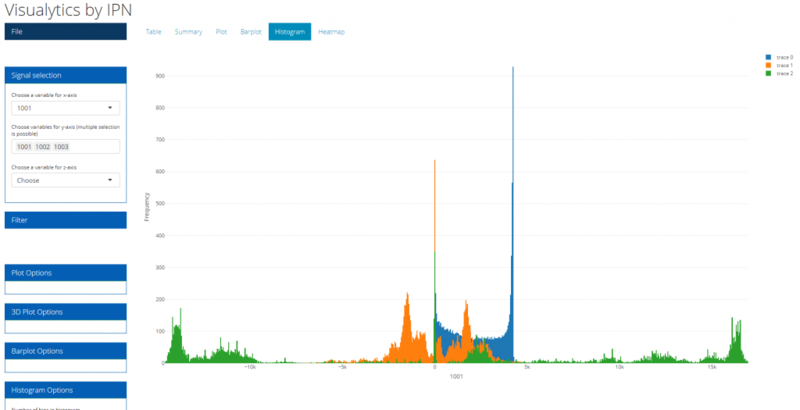 This enables Visualytics to visualise even the biggest amount of data. Additionally, Visualytics is able to visualise all the data generated by the IPN IoT Platform such as the remaining useful life, occurance probabilities and the predicted quality of products and processes. User that are going to perform in-depth analysis of monitored equipment including root cause analysis for malfunctions, analysis of the actual use patterns in the field, etc. Users who need a management ready representation of the data (e.g. Frequency of malfunctions, energy usage in an observation period).